Mommy Adventures With Ravina Kurian: AFN Clarke – Inspiration Is A Strange Thing! Inspiration Is A Strange Thing! Many people have asked me a question that most authors get asked frequently – what inspires you to write? And I am sure there are as many different answers as there are authors! For me from the time I was a child living in and traveling to different places all over the world including so-called “exotic” locations like Hong Kong, India, Iran, Libya, Turkey, Spain and Italy – my inspiration to write was simply the overwhelming desire to fully communicate my experiences of those countries, cultures and landscapes to family and friends. Life was an adventure and so I wrote about it from the time I could form my letters and put pen to paper. As I grew older the inspiration remained similar – to entertain, communicate and inspire by using words to create new worlds in which my readers could immerse themselves and explore for a while. But each book also has its own reasons for having been written and probably reveals as much about myself as it does about the characters and story it presents. 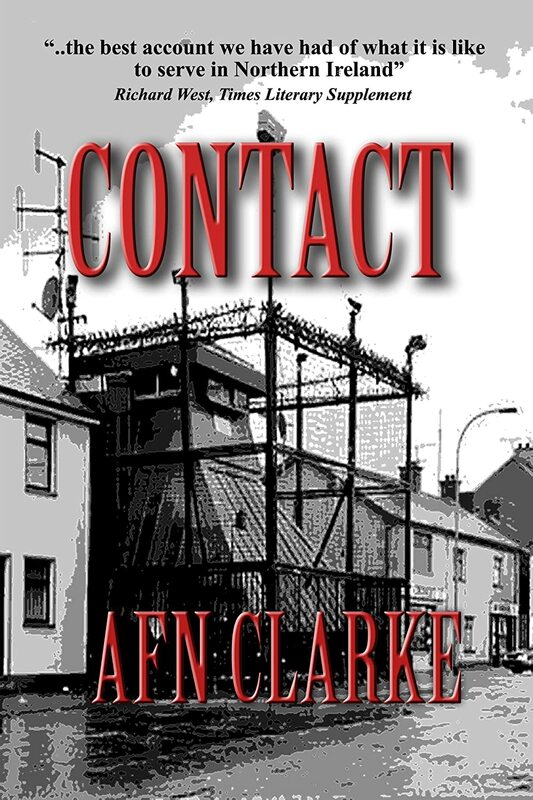 My first book Contact started out as a way of coming to terms with the world after returning from combat physically and emotionally wounded. I was lost, angry, sad, wanted the average person to know what a soldier went through day after day waiting for a stray bullet or an explosive device to shatter their life or end it; wanted families of veterans to understand why their loved ones seemed different, distant, and burdened. That it became a bestseller was gratifying, but it was not essential to me. In fact it was greatly unexpected. My inspiration was always the experience with my men and the communities we patrolled, witnessing the strength of the human spirit to survive against all odds. My motivation was the desire to ensure those lives lost and lives torn apart meant something and were not forgotten in the noise of political and religious rhetoric. That maybe politicians would understand the cost of war and not engage in it quite so lightly or quickly. Sadly that lesson seems not to have been learned, as veterans from Iraq and Afghanistan tell me how “Contact” – written so many years ago - still manages to resonate with their experience in recent times. Eerily and heartbreakingly so. Now I only write fiction and I love to write many different genres because each genre provides a new medium of communication. My second book Collisions was inspired by my own unsettling experience of PTSD; An Unquiet American is a politically provocative thriller inspired by my concern over the rise of extreme conservative elements in US politics and the eroding of democratic principles; Dreams from the Death Age and Armageddon are satires which were a blast to write and were inspired by my desire to question some of the absurdities of life today by humorously projecting where we might end up in the future; Dry Tortugas is a more personal novel inspired by my relationship with my daughters. And my latest book The Orange Moon Affair is the first of an ongoing page-turning thriller series inspired by my love of history, intrigue, international espionage and concern about the dangers of unmitigated power in the hands of unscrupulous individuals and groups. They all sound like serious topics for a work of fiction, but I guess that’s because what I’m most passionate about is exploring and making sense of the world around me – seeing things through different eyes and perspectives that expand my vision and push the envelope of my thinking – and doing the same for my readers. So what inspires you? What makes your blood boil or your heart sing? What animates your conversations and makes others take notice? Hold that thought and you may have the seed of your next book, painting, song, dance, social campaign, or career. Inspiration is a strange and personal thing – but without it the world would implode in its own mediocrity. AFN CLARKE is the son of a British MI6 operative, pilot, sailor, screenwriter, father of four who’s lived all over the world, served in the British Army and recovered from the physical/emotional traumas of war. His bestselling memoir CONTACT was serialized in a British newspaper and made into an award winning BBCTV film. He’s insatiably curious, loves heated discussions and has a rascally sense of humor. He now writes fiction of various genres – thrillers (The Orange Moon Affair and An Unquiet American); human drama (Dry Tortugas), humor/satire (Dreams from the Death Age; Armageddon), horror (Collisions) with more coming soon. For more information visit http://www.afnclarke.com, connect on Facebook or Twitter (@AFN Clarke).